The English Bible : containing the Old Testament & the New : translated out of the original tongues by special command of His Majesty King James the First … in 5 volumes. Hammersmith : The Doves Press, 1903. 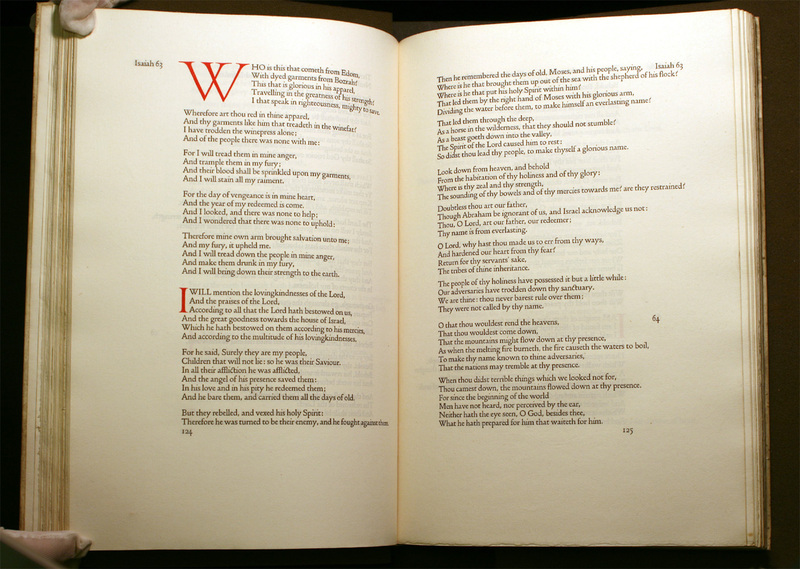 ’… from the Text of the late Dr. Scrivener’s Paragraph Bible by permission of the Syndics of The University Press Cambridge by whose readers the proofs have been read’ – colophon. Printed in black with opening initial of each Book in red. Printed by T.J. Cobden-Sanderson and Emery Walker.